Believe it or not, this asparagus pie recipe is a savory version of the famous French dessert, cherry clafoutis. 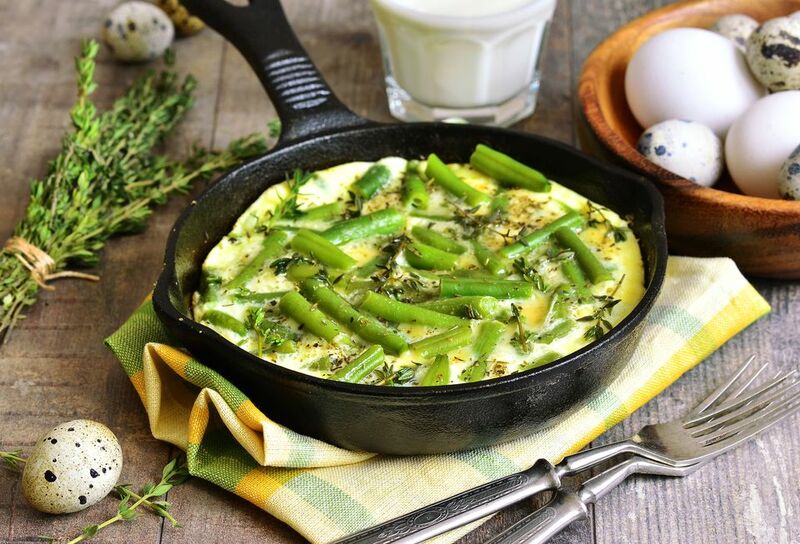 Fresh asparagus is baked in a light egg batter, which forms a creamy, lightly-browned crust. If you like asparagus, you'll love this easy recipe. Heat 2 tablespoons of the butter in a large skillet over medium-high heat. When the butter foams, add the asparagus and cook, stirring often, for 2 minutes. Transfer the asparagus to a buttered 2-quart casserole dish. In a large bowl, whisk together the milk, eggs, flour, sugar, thyme, salt, pepper, and lemon zest to form a light, thin batter. Pour the batter over the asparagus. Bake for 45 minutes, or until the asparagus pie is puffed and browned around the edges, and the center is set.